Every day 78 people in the U.S. die from drug overdose related to prescription opioids and heroin, according to a report unveiled last month from the National Governors Association, and 80 percent of those with an opioid use problem are getting no treatment. Among other recommendations, the NGA says there should be increased access to naloxone, a prescription drug that can reverse the effects of opioid and heroin overdose, and can be life-saving if administered in time. Reporting for The Colorado Trust, journalist Anna Boiko-Weyrauch finds twelve Colorado counties had overdose death rates of more than 20 per 100,000 people in 2014, making them among the highest rates in the country. Nine of those 12 counties are in rural Colorado. 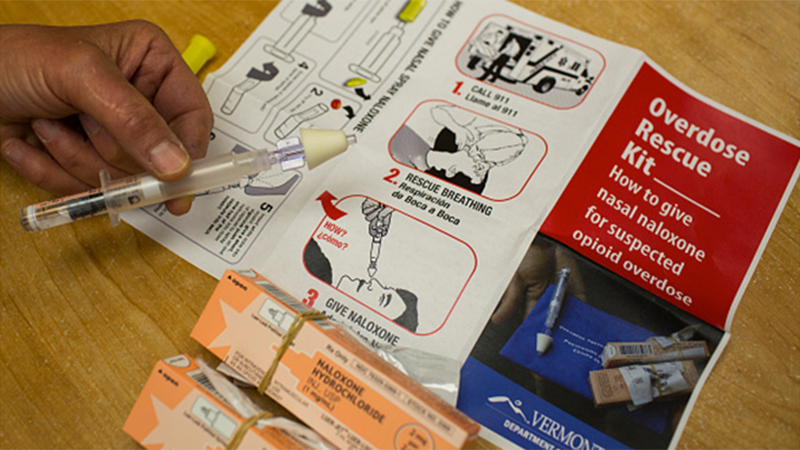 Last year, Larry Wolk, MD, Colorado’s chief medical officer and executive director at the Colorado Department of Public Health and Environment, issued a standing order for the state to access naloxone under his medical license. See Boiko-Weyrauch’s full report here. "Insight with John Ferrugia" is in-depth, independent and incisive. John and a team of investigative journalists present thoroughly researched stories of significance to Colorado. Rocky Mountain Public Media® and Colorado Public Media® are registered trademarks of Rocky Mountain Public Broadcasting Network, Inc.